The Group is run by Board of Directors having majority of professional directors who are expert in their respective fields. 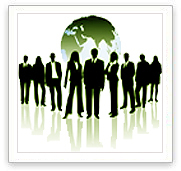 The Group companies have common directors in most of the cases. The gardens and units are managed by their respective heads. 1) Dr Ajit Kumar Agarwala - He is the Chairman & Managing Director of the Terai Group and the group is run under his able guidance and leadership. At an very early age he started taking interest in family business of tea. 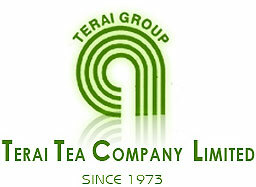 He is a renowned name in the whole Tea Industry, aged about 58 years. He is a Bachelor of Arts and was also honoured with a Doctorate Degree by 'Burkes University, UK. 2) Mrs Shashikala Agarwala – She is the director in most of the Teai Group Companies and is wife of Chairman & Managing Director Dr Ajit Kumar Agarwala. She is a graduate and looks after tea gardens of the group. She has experience in managing the company for the last 25 years. 3) Mr Rajendra Kanodia – He is the Group director and CFO of the Company with huge experience of over 25 years in Marketing , Administration and Financial Management . 4) Mr. Hemant Kumar Agarwal – He is having wide experience in trading of various commodities viz-a-viz Sugar, Edible Oils etc and in these items the company is planning to do trading business based on his past success and expertise. 5) Mr. Milan Krisna Sarkar – He is a senior practising advocate with highly reputable image in the legal world. The company can profit from his legal background in acquisitions of tea gardens and other properties which he is highly competent to undertake easily. 6) Dr. Jayantakumar Natwarlal Raja – In order to fulfill the companies obligations towards good health and well being of the employees at the tea estate and factories etc, the services of Dr. Raja shall be of immense value and an unparalleled asset. 1) Mr. Vishwa Deepak Dua – Group Superintendent.